Thank you to Karla and Lady Jayne for recommending this book to me! I was definitely enthralled by the psychological mystery of the Watkins family. Julie is about to start her freshman year at a small college in Boston. She's from Ohio (like me!) and is a bit overwhelmed by the move, particularly when she discovers the apartment her mother helped her find doesn't exist. "I'm at the correct address. The taxi driver assured me I was in the right place. But my supposed apartment building is a burrito restaurant." "Burritos! Holy mother of God!" her mother said. "I know. Burritos are always alarming." Julie looked around, totally unsure what she should do next. If you think Julie's sense of humor is quirky, just wait until you meet the Watkins family. Julie's mother asks her old college roommate Erin Watkins--now a professor at Harvard--to house Julie until she can find another apartment. 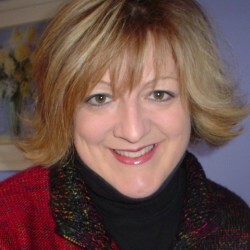 Appearing to fulfill the role of absentminded professor, Erin lives with her husband and two children. Matthew is an uber-smart junior at MIT and Celeste is a precocious 13 year-old. The oldest son, Finn, is away traveling the world. Everything sounds pretty normal so far, right? There's just one thing. Celeste is obsessed with a life-size cardboard cutout of her absent brother, which she's named "Flat Finn". She takes Flat Finn with her wherever she goes (except for school), and panics if he's not nearby. Hence the adorable title of the novel. "We have to show Flat Finn that photo of you in the red dress," Celeste said. "He is going to love it! And the one of you at graduation. You look so happy getting your diploma." Celeste pushed the blanket aside and retrieved the cardboard cutout of her brother that she'd left by the piano. Celeste entered the room carrying the cutout in front of her, eerily giving the impression that Flat Finn was able to glide around by himself. She stood him next to the coffee table near Julie and adjusted the panels by his feet that kept him standing, struggling to make him balance on the thick rug. "Come on, Flat Finn!" she muttered, the wavering figure looming over her. She looked up to his head, her blond curls falling off her face and revealing the determination in her eyes. "Please!" she said with agitation. "You have to help out." Riiiiiiiight. Julie kindly goes along with this weirdness but experiences her own determination to figure out what the heck is going on in this family, especially when she tells her psychology professor about Flat Finn and the professor hints that the family might have endured a trauma. Celeste Watkins thinks the expression should be, "Free to be you OR me," because "Free to be you AND me" makes one think of dissociative identity disorder. That's some GREAT psychology humor right there! While the family mystery kept me turning the pages, I felt let down upon the unveiling of the secret. It seemed the story lost a little of its allure there, for me. But I think the author did a fantastic job of writing realistic emotions and behaviors of a family that's simply trying to find its way back from trauma. 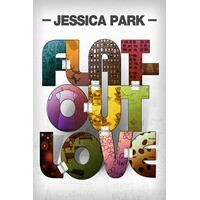 Overall the writing is EXCELLENT and I'm definitely interested in reading more from Jessica Park!